This past weekend, as you may know I headed up to Apple Hill to pick apples, wander through the pumpkin patches and enjoy the Fall atmosphere. Unfortunately it didn’t turn out as planned. We had a late start on Sunday and when we got out there, there was a ton of traffic. It took a minimum of 20 minutes to get to each farm or orchard. That doesn’t seem like to long, but when the next venue was about a mile or less away, it was horrible. So we did manage to make two stops before we had to leave and I did pick up a bushel of apples. I don’t know what I am going to do with a bushel of apples, but I’ll figure it out. Maybe? I got Pink Ladies and McIntosh apples. I love McIntosh apples, so it was well worth the trip to get them. In the part of California where I live you can’t get those apples down here. They kind of remind me of home. I remember as a kid my Mom would McIntosh apples and the caramel apple kits. Oh boy were those a treat. Remember back in the day where you got a disc of caramel and you would wrap it around the apple, put a Popsicle stick in it and I think bake it? I don’t recall the baking part? But I loved them! My Mom would make them every year! 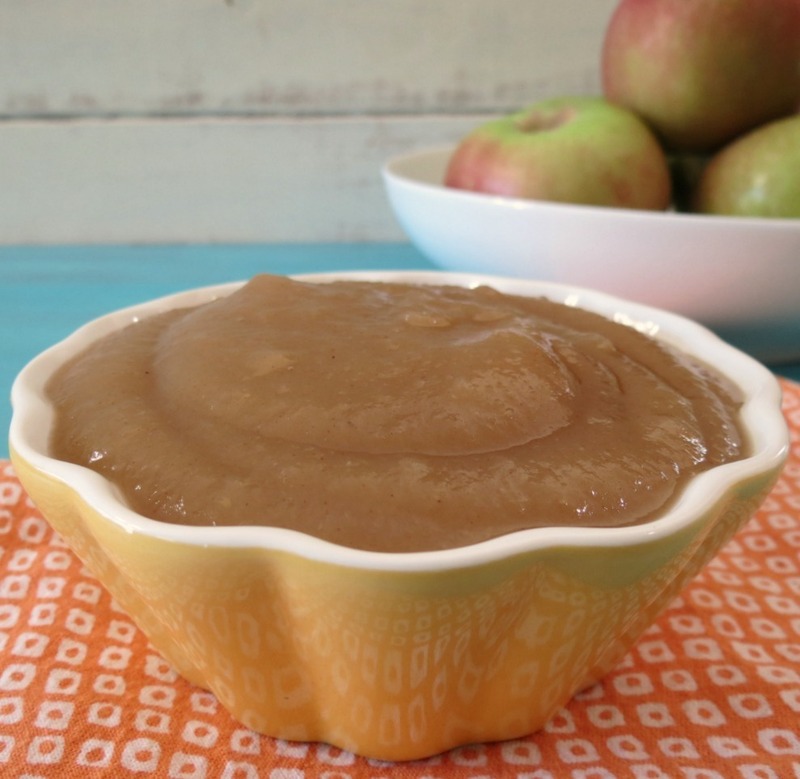 I do not have Caramel Apples for you today, but I do have a wonderful dip that is sure to please the apple lover in your life! This is my Maple Spiced Apple Butter. Oh man is it good! It’s thick, creamy, sweet and has a slight spice taste from the Trader Joe’s Spice Apple Cider that I used. I am just loving apple butter right now. 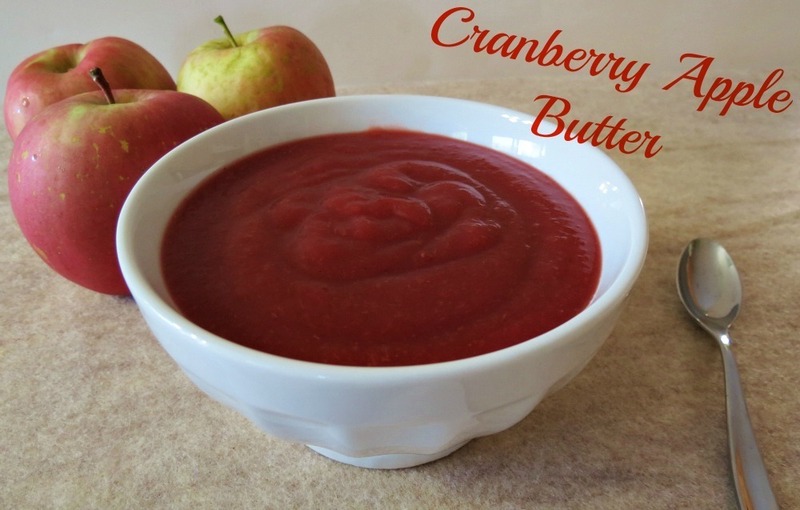 I was looking on my blog and I swear I made apple butter last year, but to my surprise I only made Cranberry Apple Butter, which I plan on making next! Yum! 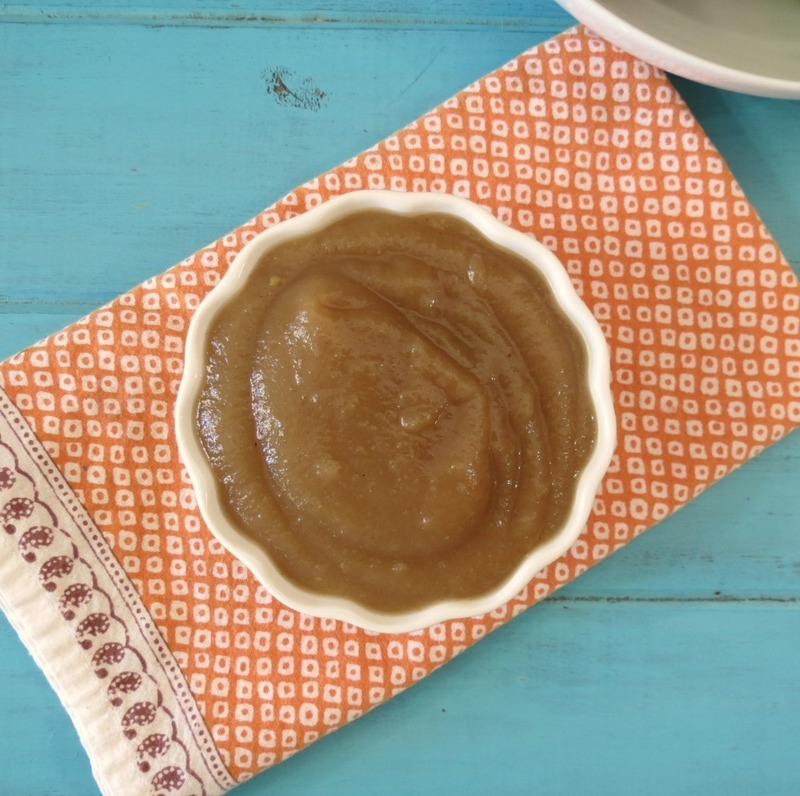 The apple butter is a cinch to make, you just need a little time to let it cook. You could make it in the Crockpot, but I prefer this method, since I was home. All I did was peel, core and cut my apples and placed them in a super large pot! Add apple cider and let it cook for 20 minutes. I took my hand immersion blender and pureed the apples until they were creamy smooth. Then I stirred in cinnamon, nutmeg and maple syrup. I love sweetened apples with maple syrup, they just go together so well. Over low heat I cooked the apple butter for about an hour and twenty minutes until it was the thickness that I wanted. The recipe made 7 cups, but it could be more. I think I ate my fair share of apple butter today It’s so good!! This is a great recipe to share with friends and family since it makes so much. You can present it in a mason jar with a little ribbon on it. Just be sure that it is stored in the refrigerator. I wouldn’t recommend canning this recipe, since I am not sure if you can or not? There isn’t a lot of sugar in it to preserve it. 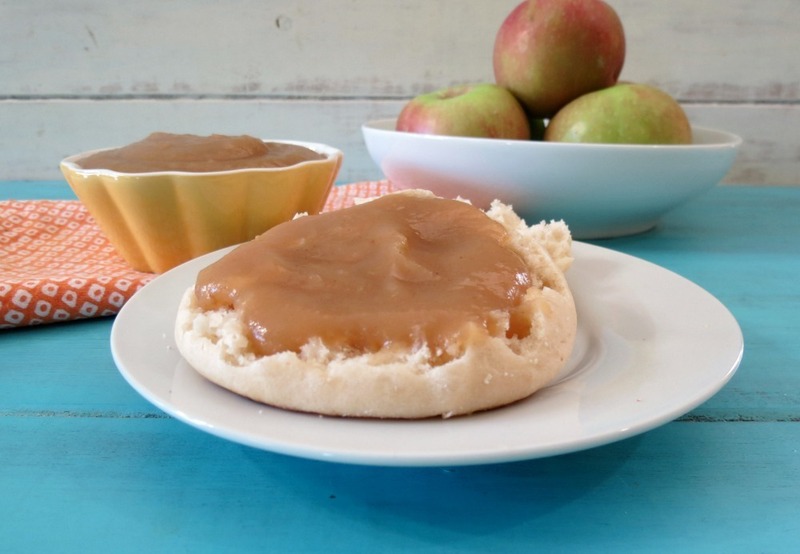 A healthy, sweet, low calorie spread made with fresh apples that are slow cooked in spiced apple cider and sweetened with maple syrup. In a large sauce pan add apples and apple cider. Bring to a light boil, cover and simmer until apples are softened. Approx 20 minutes. Stirring occasionally. With a food immersion hand blender, process until creamy smooth. If you don't have a immersion blender, process in batches in your food processor or blender. Over low heat add lemon juice, cinnamon, nutmeg, cloves and maple syrup. Stir until well incorporated. Cook uncovered for approx 1½ hours until thick and darkened, stirring every five to 10 minutes or so. Be careful not to burn the apple butter. 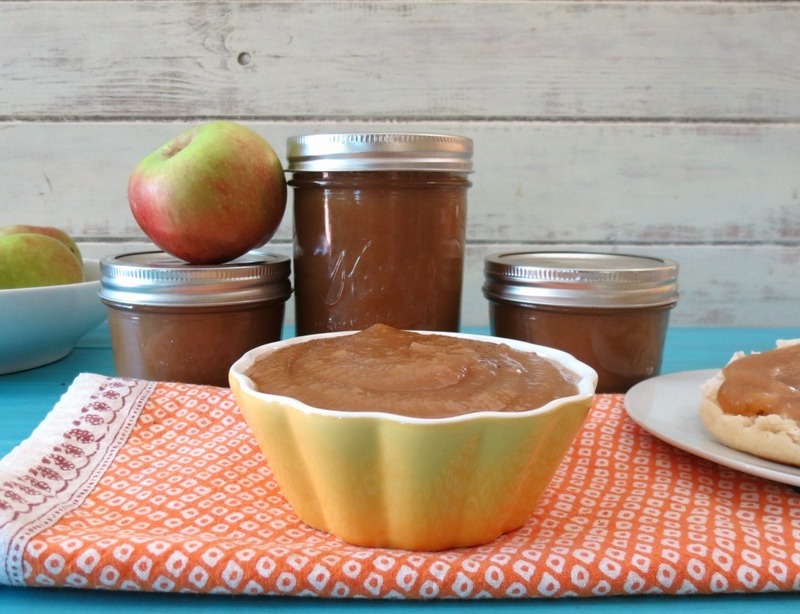 Let apple butter cool to room temperature. As it cools it will thicken more. Place in an airtight container and refrigerate for up to 3 weeks. So what does one do with apple butter besides eat it from the jar? It’s awesome on toast, bagels and bread. Or my personal favorite way on Cranberry Walnut Bread. It’s also good on oatmeal, yogurt parfaits, as a side dish with pork and it can be used to bake fun apple goodies, like bars, cookies, bread and even things like barbecue sauce. The possibilities are endless. Just let your imagination run wild! Well that’s it for me today! 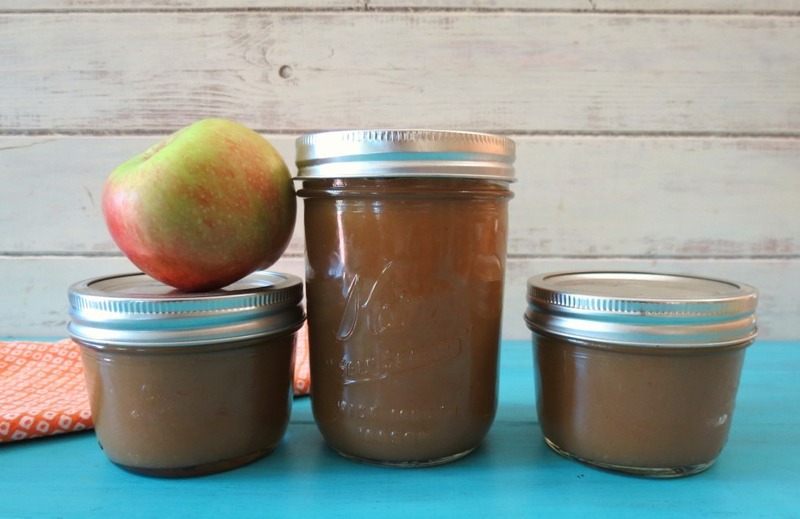 Since I have so much apple butter left, I have a recipe in mind that I want to make right now! Ohhhhh yeah, perfect for apple season! Especially if you go apple picking! Mmmmmm Mmmmm! Happy Friday Jennifer! I’m seriously addicted to Trader Joe’s Spiced Cider. It’s almost as good as from the Cider Mill. I’ll be going to Trader Joe’s tomorrow and stocking up on two bottles of it since I don’t get to go on a regular basis. And I love their pumpkin macarons and their pumpkin yogurt and pumpkin ice cream. Their pear tart is amazing too and so is there apple blossoms. Fall is definitely in the air at Trader Joe’s and I just can’t get enough pumpkin goodies when I go! I LOVE TJ’s Spiced Apple Cider! The stuff is amazing! I love it warmed up! I haven’t had the macarons or ice cream, but the pie tart is my one of my family favorites, plus it’s pretty low in calories for a tart. I think I’ll pop one in the oven now! 🙂 Now I want to go to TJ’s! Two stores were out of the pumpkin crisps and I need them! I think that will be my goal, to travel to all the TJ’s to see who has it. I made spiced apple sauce with my apples already. 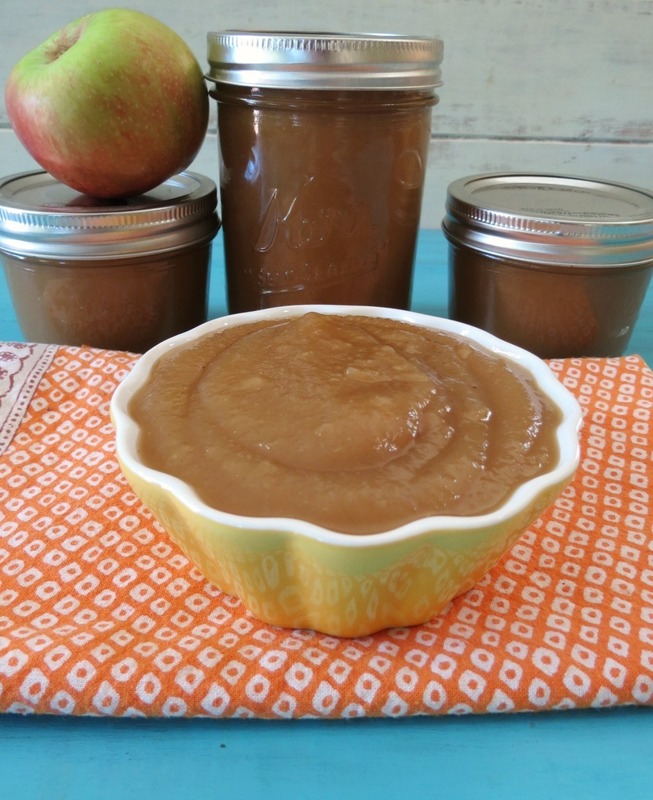 Can I make apple butter from the sauce? Hmmmmm, good question. I would think you need to cook it a tad longer to thicken up, but I’m not sure to be honest. You can try it, it won’tr ruin the taste of your apple sauce. Just cook it over low heat.